This project began in 2006. Its aim is to plant Aqua Aura crystals to places of high energy and spiritual connection across the globe. These sites may be mountainsides, cliff tops, standing stones, churches, temples, gardens, woodland - anywhere each of us feel personally drawn to for spiritual empowerment and peace. Each aqua aura crystal is specially programmed and when planted will add to a growing matrix of spiritual energy being imbued to the planet as we move towards the age of Aquarius. 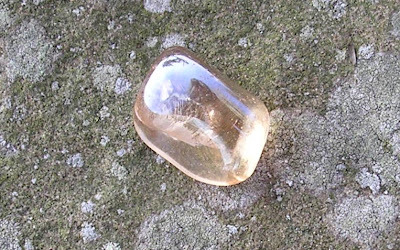 It is envisaged that as this crystal matrix grows individuals and groups will be drawn to visit the sites of planting of these crystals to enhance their own sense of spiritual strength, purity and peace. Once 99 of these crystals have been planted to the Earth a greater enhancement of energy will occur benefiting all. In connection with this developing matrix of light, specially programmed Aqua Aura crystals are available for individuals to carry and meditate with in their daily lives. The seeds for this project were first sown in the summer of 2007. Its aim is to plant Tanzine Aura crystals across the globe to facilitate spiritual connection and alignment with particular reference to the Creative Arts. Suitable sites for plating include Art Institutions, Art Galleries, Sculpture parks, Museums, Art Dance and Music Colleges, Concert Halls, Opera Houses, Theatres, Cinemas and Community Centres of Multiple Usage. Places where beauty is created and creativity celebrated. As with the Aqua Aura and Topaz Aura planting projects, each crystal is specially programmed and on placing to the earth will add to a growing matrix of new energies being imbued to the planet as we move towards the astrological age of Aquarius. Specially programmed Tanzine Aura crystals are also available for individuals to carry and meditate with in their daily lives to facilitate creative connection and alignment. The seeds for this project were first sown in the summer of 2007 alongside the Global Tanzine Aura project. The aim of this work is to plant Topaz Aura crystals to facilitate spiritual connection and alignment with particular reference to places of wisdom, learning and decision making. Suitable sites include Universities, Government / Parliament buildings, Libraries, Courts, Places of Learning and Training, Hospitals and Care Homes, Research Laboratories, Publishers, Television and Radio Studios, Businesses, Banks and Key National and Global Institutions eg. Nasa, Greenpeace, Amnesty International, National Trust. As with the Aqua Aura and Tanzine Aura planting projects, each crystal is specially programmed and on placing to the earth will add to a growing matrix of new energies being imbued to the planet as we move towards the astrological age of Aquarius. 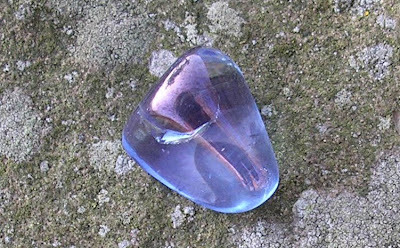 Specially programmed Topaz Aura crystals are also available for personal use, facilitating spiritual clarity and wisdom. Programmed Aqua, Tanzine, and Topaz aura crystals, both for planting and for personal use and complete with instructions are available by mail order from The Crystal Earthworks.